Paul A. Jozef, J.D. practiced law in Arizona for thirteen years, advising divorcing couples, handling business transactions and practicing civil litigation. As part of his personal growth process, Paul left his law practice in 1996 and then established the Center for Complete Communication. 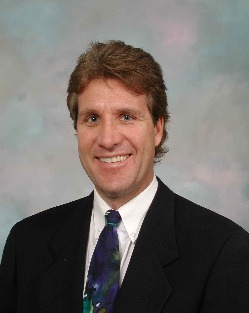 Paul is a full time mediator and Certified Complete Communication Counselor/Trainer. Paul received his mediation and communication training through the International Center for Nonviolent Communication, and The Mediation Center, in Eugene, Oregon. His mediation skill and experience have earned him practitioner member status with the Association for Conflict Resolution. After years of training and teaching, Paul was certified as a communications trainer by the Center for Nonviolent Communication. Paul has mediated hundreds of divorce, family and business disputes. With his unique expertise in both law and communications, Paul is able to help parties overcome emotional barriers, interact productively and collaborate in finding creative solutions. He offers compassion, experience and legal information to help parties reach mutually satisfying agreements. He then drafts legally binding agreements, and completes other necessary legal documents and court processing. Paul has delivered hundreds of communication workshops to a variety of audiences, including counselors, social workers, psychologists, parents and teachers. His popular Complete Communication workshops have been accredited by the National Association of Social Workers – AZ, the Madison School District and the Arizona Psychological Association. Paul is a Practitioner/Educator for the Association for Conflict Resolution. He is also a member of the Arizona Dispute Resolution Association, the Maricopa Alternative Dispute Resolution Association and the Maricopa County Association of Family Mediators. Studying and exploring communication has been a life long endeavor. As an attorney, I handled disputes involving business, divorce and family, personal injury and the environment. I discovered that the parties usually found litigation to be time consuming, expensive and personally painful, and it left them alienated from each other and the system. Then I discovered the process of Nonviolent Communication™ developed by world renowned peacemaker Marshall Rosenberg, Ph.D. Immediately I recognized the tremendous power and potential of this language of the heart. As I practiced and internalized the Nonviolent Communication process, it helped me to transform my relationships with others and perhaps most importantly, my relationship with myself. My own adaptation and interpretation of the Nonviolent Communication process is what I call Complete Communication. I enjoy mediation because it resolves issues quickly and inexpensively, while helping people move from frustration and conflict to peace and satisfaction. I enjoy sharing the Complete Communication process with others in workshops and practice groups because I connect with other human beings and give them the power to transform their business and personal relationships. However, I am most grateful for having this process to use in raising my two young children. I can think of no greater gift to give to them.